CLARE teams have gone into Munster Hurling Championship action on many occasions as rank outsiders but rarely have supporters had such little hope facing into the provincial campaign. CLARE Soccer League chairman Jim Madden confirmed this week that he is to step down from the post of chairman at the upcoming annual general meeting of the league. CLARE and Kilmurry Ibrickane manager Micheál McDermott has opted to stand down as manager of the county and Munster club champions. KILMALEY proved far too strong for Doora-Barefield in the U-14A hurling championship final at Cusack Park on Friday evening. Dominant in every sector, they had the title secured long before the final whistle sounded. 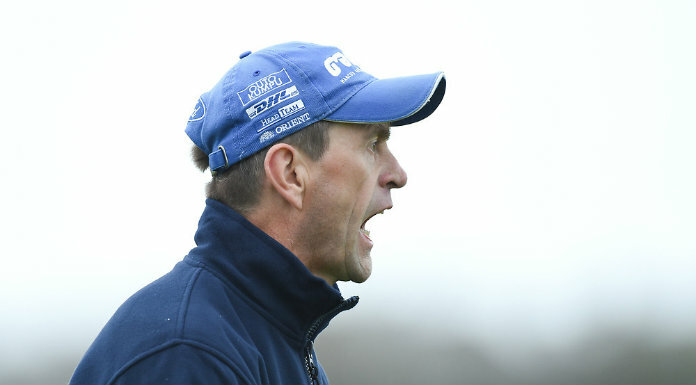 CLARE intermediate hurling manager Kevin Kennedy is surprised that there was a move earlier this year to do away with the inter-county intermediate hurling championship. He is glad that the move failed as he believes it is a great grade. The race for this season’s Clare Champion Cup title continued over the weekend, with action in all three divisions.